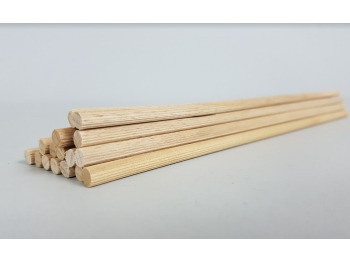 Round stick made of beechwood with different diameters. All sizes are sold in strips of 1 meter long. Round pole Ø 25 mm. Length 45 cm. 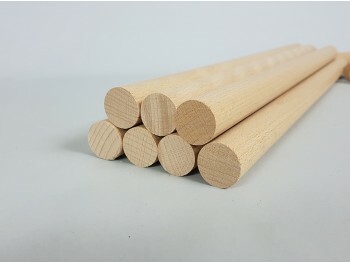 Round stick Striated Ø 6 mm. Length 25 cm.